More than 1,700 studies prove coconut oil is one of the healthiest foods you can eat. So why do so many cardiologists refuse to climb aboard the coconut oil health benefits bandwagon? Coconut oil fights inflammation, the evil super-villain behind almost every disease that can attack us. It’s been shown to improve memory and treat Alzheimer’s disease, prevent heart disease and even prevent cancer. According to most articles out there, coconut oil goes beyond just “not bad for you” and actually helps promote good health. Plus, it’s straight delicious. Why then are we throwing a wet blanket on the coconut oil bar mitzvah? It comes down to high saturated fats. Despite a huge raft of short-term studies, the long-term stuff is lacking. If you look at cocaine on a purely short-term basis it’s a wonder drug. That doesn’t mean you should go snorting it for health reasons. In the same slant, coconut oil can have all the health benefits in the world short-term. Long term it could still kill you and right now we don’t know if it will. Cancer. Coconut oil has been shown to prevent and treat cancer for two reasons. First, the ketones it produces cut off cancer’s energy source. Second, compounds in coconut oil actually zap cancer cells. Alzheimer’s Disease. 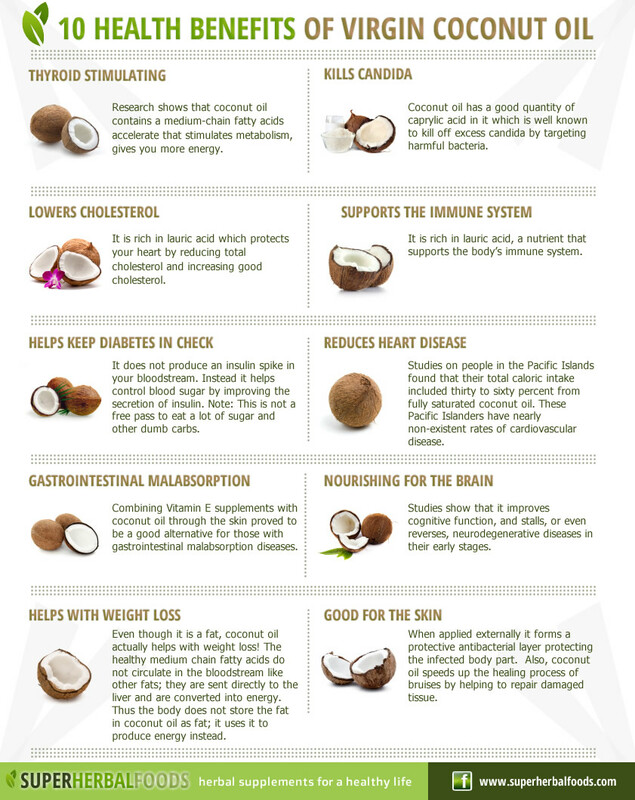 Coconut oil results in ketones that give the brain an energy boost. In Alzheimer’s patients this could literally be a life saver. Heart Disease. Coconut oil pumps up the body’s healthy HDL cholesterol and even convinces “bad” LDL to change its ways. Inflammation. Inflammation is the new health watchword. It’s thought to be lurking in the depths of almost every ailment we can think of. Coconut oil reduced it more effectively than several leading medications in one study. Fights dozens of diseases. In study after study, coconut oil is shown to hammer gallbladder disease, eczema, psoriasis, ulcers, arthritis, gum disease, osteoporosis, diabetes, yeast infections and several other ailments. Great for cooking. Coconut oil has a very high smoke point and doesn’t break down into harmful trans-fats like some other oils. Hungry for more healthy cooking tips? Dig into our complete Tom Brady diet plan guide here. So what’s the coconut oil health problem? With a list of bennies long enough to give a dietician night sweats, why slag down this superfood? The reason is its saturated fats and short-duration testing. Yes over a thousand studies have shown the health benefits of coconut oil. The trouble is, too many of them are short term. That means we don’t know if the short term victory comes with an even bigger long-term price. It could be that cooking with coconut oil is like a deal with the culinary devil or a predatory credit card company. According to Dr. Walter Willett at Harvard Health, coconut oil is 90% saturated fat. More than butter. More than grandma’s favorite: lard. Too much of that can actually increase the long-term risk of heart disease and stroke. So down the road, everyone who’s touting the lifesaving powers of coconut oil may be touting stent surgery and blood thinners. The doc recommends using coconut oil only sparingly, at least until we see how it affects us down the road. Coconut oil may just be the wonder food that everybody says it is. We just don’t know for sure yet and eating lots of it is still a risk. Previous Post5 Amazing Probiotics You Already Have at HomeNext Post Are Peanuts Radioactive and Do They Cause Cancer?